When they’re off stage, Toronto-based quartet, Little Boxer, are goofy, inviting and humble. On stage, they’re professional, yet passionate and undoubtedly having a good time. Exuberant dancing characterizes their sets, along with refined instrumentals and raspy expression. Guitarist and lead singer, Zack Erickson, vocalizes themes of youth, escape, and longing with bravery-esque alternative-rock further played by drummer Dave Silani, bassist Juan Udarbe, and lead guitarist Liam Driscoll. Notable events in Little Boxer’s history include headlining the Horseshoe Tavern, organizing their first tour in southwestern Ontario and Montreal, playing festivals in Toronto and playing a sold out show at Ripley’s with fellow underground friends, The Look Back Now. 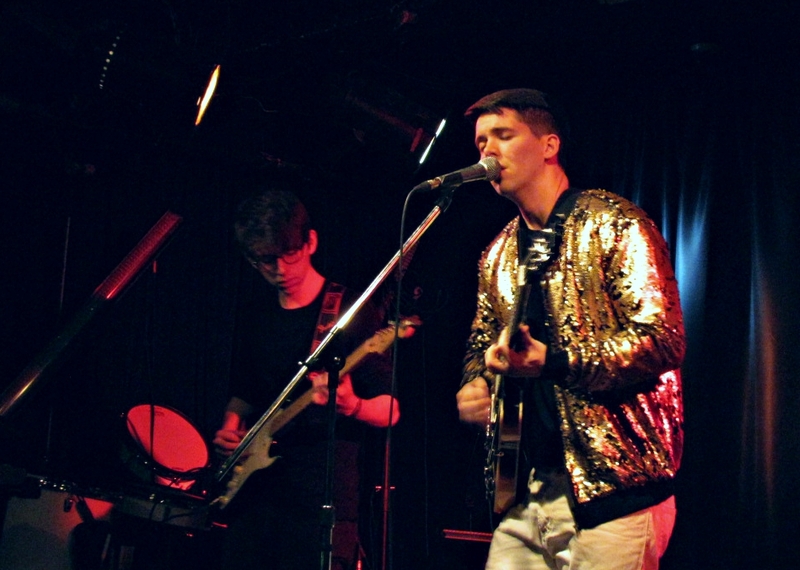 Before becoming a four-piece rock band, Little Boxer was a folk duo comprised of Dave Silani and then-Ryerson politics and governance student Zack Erickson. The two became friends after meeting at an open mic night at the KITCH in 2013, and began writing music together. Around August 2014, former fellow Musicians@Ryerson member and engineering student, Juan Udarbe, jokingly offered his talents to Erickson, who had been working with Silani to find a bassist that seemed like a good fit for the band. Erickson called him the next day to see how well they all worked together, and Udarbe stuck. 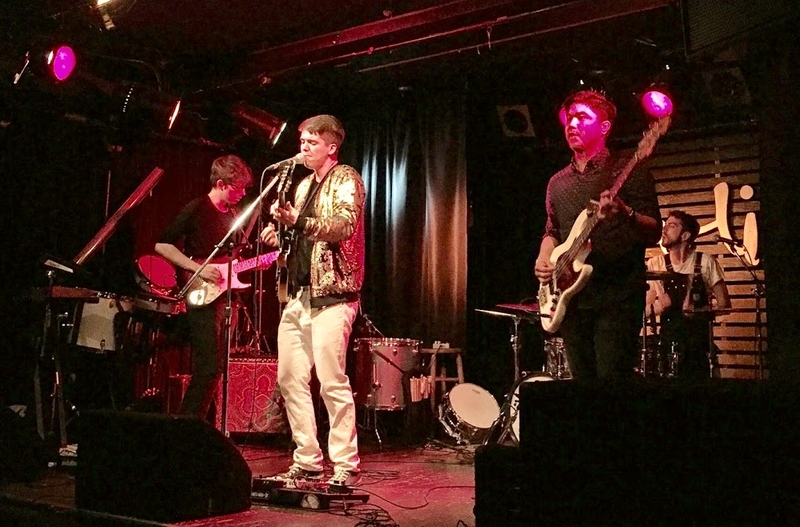 The band only took its full formation in 2015, however, with the addition of Liam Driscoll. He was the first to audition after seeing the band’s ad on Kijiji for a lead guitarist that October. When all four members worked collaboratively, their influences merged and shaped their music, creating the shift from acoustic folk to electric guitar heavy rock & roll. When Little Boxer started out, Silani had the idea for a project called “Dungus Records.” Dungus Records --- which was more of a collective than a label ---- comprised of themselves and musicians they were friends with that wanted to “stand out at all the little indie shows” they were playing at the time. The artists slowly outgrew the now-inactive project. Erickson referred to the numerous EPs released under Dungus Records as mostly a learning experience. The band pride themselves in their continuous growth, playing only the music that best represents the quality of their work. Although the band has faced obstacles throughout their time together, they all remain dedicated and passionate about their music. A clear example of a challenge overcome was Driscoll’s admittance to a school a five hour train ride away, Concordia University. The band plans shows, rehearsals, and writing sessions, around Driscoll’s school schedule. Driscoll takes advantage of the flexibility of his fine arts program, but he is enthusiastic about applying his learned knowledge of audio engineering and sound design to benefit Little Boxer. While flexible, his program still only allows for a four member rehearsal every month or two, but Driscoll said he is “kept in the loop, creatively” with phone audio recordings that his bandmates send him. Although sticking together is the decided route of the band, the benefit to keeping a member that lived in another province for over half of the year was not always so clear. The band looked for other lead guitarists, even holding onto one for a short while, but they decided to go back to their original members and take full advantage of the summer months when Driscoll had more free time. On top of Driscoll living in Montreal, Erickson works as a solo acoustic cover musician and lives in Hamilton, Udarbe commutes to Mississauga for work, and both he and Silani have office jobs. With all of that, the band is committed to putting in the time and efforts to keeping a balance with their individual lives and their Toronto-based band. Experimenting with new sounds is no foreign concept to Little Boxer. The band has traditionally played with drums, guitars and bass, but they often write their music while considering the possibilities of incorporating other instruments. They pursue the sound of big rock and roll bands, with the likes of Bruce Springsteen and the E Street Band and Tom Petty and the Heartbreakers. “We’ve written a bunch of songs that we need a bigger band to play properly,” said Silani. “--Cowbells,” added Silani, with a laugh. While they look for an additional member to play the keyboard-synthesizer, Driscoll has taken up the role of experimenting with a microkorg synthesizer for their latest shows. The story captures the transition from youthood to adulthood as a young man calls on his beloved to run away with him, abandon her responsibilities and instead prolong the feeling of being carefree. “It's an examination of young love as well as the fears and hardships that come with growing up,” said Erickson. When he brought the song to Silani, the drummer saw potential for even more in it, adding string lines, synths, and other vocal ideas that pointed the sound of song in a completely new direction. As Little Boxer explores the idea of “sonic diversity,” they are lining up shows and festival appearances in Southwestern Ontario and Montreal for 2018, including the CMW Indie Week Festival, that will feature new material. Meanwhile, a new single is set to be released this May or June.